Epigenetic Regulation in the Nervous System addresses current understanding of the roles of epigenetic processes at the molecular/cellular level, their impact on neural development and behavior, and the potential roles of these mechanisms in neurological and psychiatric disorders. 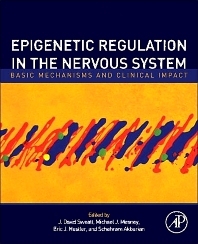 This award-winning volume spans molecular epigenetics, development, cellular physiology and biochemistry, synaptic and neural plasticity, and behavioral models, and is unique in covering epigenetically based disorders of the central nervous system. Behavioral epigenetics is the study of how environmental factors alter behavior, addressing the fundamental mechanisms that shape development and individual vulnerability/resilience to adverse behavioral outcomes. By understanding the molecular mechanisms involved in epigenetic modulation, researchers may be able to develop targeted therapies for those individuals in whom it malfunctions. Edited by the most highly regarded leaders in the field, this book offers a comprehensive review of behavioral epigenetics and a balanced treatment of the strengths and weaknesses in experimentation in this area. Covering background material as well as topics of current interest, it serves both as a cutting-edge resource and a foundational reference. The book will benefit neuroscience researchers and graduate students with an interest in the links between gene regulation and behavior, as will clinicians dealing with disorders such as addiction, depression, and schizophrenia. Role of Active DNA Demethylation in Neurological Disorders? How Does the Epigenetic Code Manifest as a Functional Change? Epigenetics in Psychiatry – Why Bother? How Do We Study Epigenetic Interactions with Neuronal Mosaicism? Epigenetics and Transcription: Cause or Consequence? Michael J Meaney is a James McGill Professor of Medicine at Douglas Mental health University Institute of McGill University. He is the Director of the Maternal Adversity, Vulnerability and Neurodevelopment Project and of the Developmental Neuroendocrinology Laboratory of McGill University. Meaney was educated at Loyola College of Montreal and received his PhD from Concordia University (Montreal) with post-doctoral training at The Rockefeller University in New York. 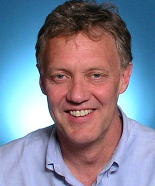 Meaney’s primary research interest is that of the stable effects of early experience on gene expression and development. Meaney’s research is multidisciplinary and includes studies of behaviour and physiology, to molecular biology and genetics. The primary objective of these studies is to define the processes that govern gene – environment interactions. He has authored over 270 journal articles and has been the recipient of a Scientist Award from the Canadian Institutes for Health Research (CIHR) and a Distinguished Scientist Award from the National Alliance for Research in Schizophrenia and Affective Disorders. He was awarded Lougheed Prize (Alberta Heritage foundation for Medical Research), The Klerman Award (Cornell University), The Patricia Barchas Award (Research in Socio-physiology), The Heinz Lehman Award (Canadian College of Neuropsychopharmacology) and is the Bank of Montreal Fellow for the Canadian Institutes for Advanced Research. He currently holds a CIHR Senior Scientist Award. Graduates from Meaney’s lab hold faculty appointments across North America, Asia and Europe, including Columbia University, Queen’s University, University of California at Berkley, University of British Columbia, University of Michigan, University of Pennsylvania, and the RIKEN Institute of Japan. Research in the Meaney lab is funded by grants from Canadian (CIHR, NSERC), American (NIMH, NICDH) and International (HFSP) agencies. Dr. Nestler is the Nash Family Professor of Neuroscience at the Mount Sinai School of Medicine in New York, where he serves as Chair of the Department of Neuroscience and Director of the Friedman Brain Institute. He received his B.A., Ph.D., and M.D. degrees, and psychiatry residency training, from Yale University. He served on the Yale faculty from 1987-2000, where he was the Elizabeth Mears and House Jameson Professor of Psychiatry and Neurobiology, and Director of the Division of Molecular Psychiatry. He moved to Dallas in 2000 where he served as the Lou and Ellen McGinley Distinguished Professor and Chair of the Department of Psychiatry at The University of Texas Southwestern Medical Center until moving to New York in 2008. Dr. Nestler is a member of the Institute of Medicine and a Fellow of the American Academy of Arts and Sciences. The goal of Dr. Nestler’s research is to better understand the molecular mechanisms of addiction and depression based on work in animal models, and to use this information to develop improved treatments of these disorders. 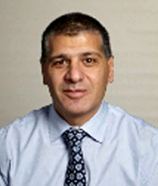 Schahram Akbarian studied medicine at the Freie Universitaet Berlin, Germany. He is a board certified psychiatrist and molecular neuroscientist who trained at the Massachusetts General Hospital in Boston, the Whitehead Institute for Biomedical Research in Cambridge and the University of California at Irvine. In 2002, he joined the University of Massachusetts Medical School in Worcester where he established a research program in psychiatric epigenetics and served as the Director of the Brudnick Neuropsychiatric Research Institute. Presently, he heads the Division of Psychiatric Epigenomics in the Departments of Psychiatry and Neuroscience at Mount Sinai School of Medicine. He is a former recipient of the Klerman award from the Brain & Behavior Research Foundation, the Judith Silver Memorial award of the National Alliance for the Mentally Ill, the Outstanding resident award of the National Institute of Mental Health, and the Eva King Killam Award for Outstanding Translational Research, American College of Neuropsychopharmacology.